I always feel like the house looks a little sad and empty after we take down all the Christmas decorations, so this year I decided to add a few cozy winter decorations around the living room. First, I made a pillow using an old sweater. That left me with a lot of leftover sweater pieces including a turtle neck and sleeves. 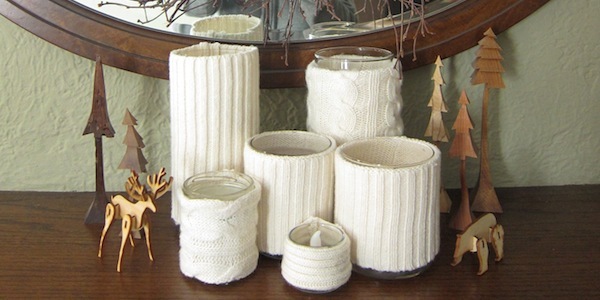 After seeing sweater and faux-sweater candle holders in the stores this season, I decided that would be a great use for the scraps. I planned on just doing two, but once I started I found myself covering a whole array of them. They were so simple to make. It was a great way to cover those candles you buy with labels all over them to look a little more stylish. Here is my mantle with the candles mixed in with some wooden trees and animals. Yes, I still have my wreath hanging above the mantle. Since it is just twigs with white and silver berries, I thought it didn’t just have to be for Christmas, but fit with winter too. When they are lit they have a wonderful golden glow. There really isn’t a lot of instruction to making these. 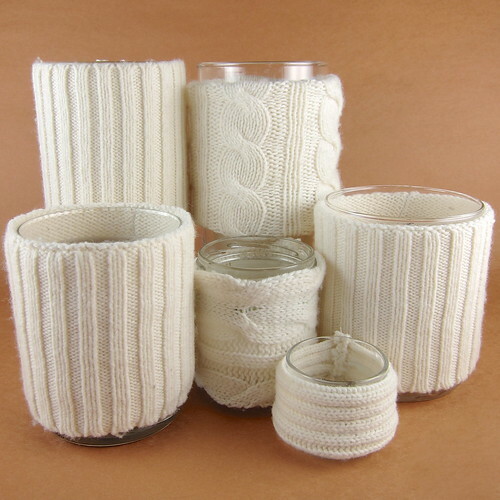 Basically, you just make a tube the fits snuggly around you candle holder from a piece of sweater. 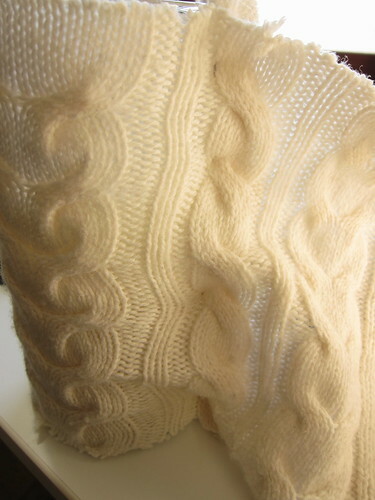 So, instead I’ll give you some tips on different ways to use parts of the sweater and getting a clean look on the edges. 1. 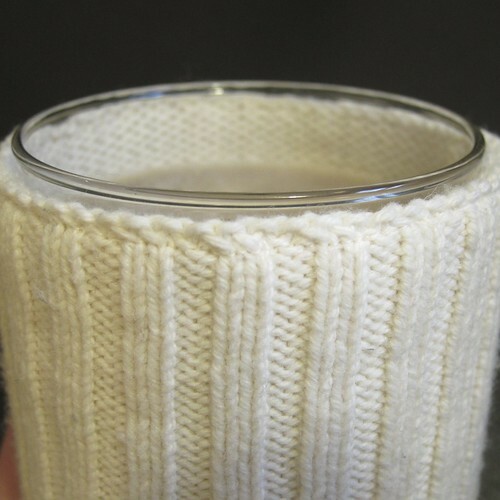 A cuff of a sleeve is the easiest piece to use for this project, because (at least on my sweater) it is the perfect size to go around a lot of medium sized candle holders. I folded the cuff over then cut if from the sleeve, so the the inside layer was just a little shorter than the outside one. That way the cut edge is cover and you don’t have to do a hem at all. The folded edge goes to the top of your candle. 2. Bigger body pieces are good for covering large candle holders. Cut a piece that is a little taller than the candle holder, then wrapped it inside out around the holder. Pin so it is snug around the holder. Slide off and sew a seam along that pin line. I like to sew it twice to prevent too much fraying. Trim the seam allowance to about 1/2-inch. Turn right side out and turn the raw top and bottom edges in. You can sew those in place or just leave them tucked in. 3. Play with the patterns in your sweater. 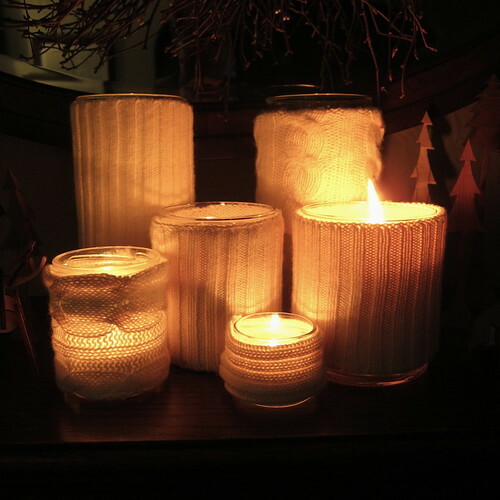 I wrapped the cables and ribbing in two different directions on my candles to mix things up. 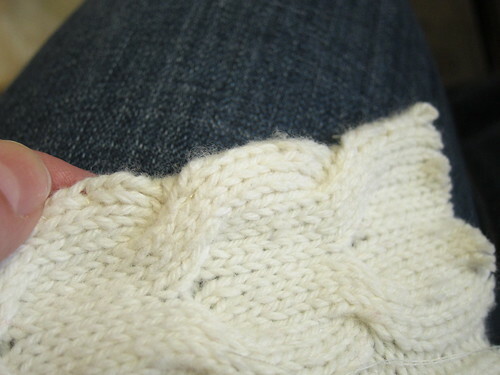 When I used the cable horizontally, I turned the hem at the edge of the cable and hand stitch it down. This gave a subtle scalloped edge. 4. 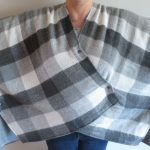 Felting vs not felting – My sweater was cotton, so I didn’t have the option to felt it. 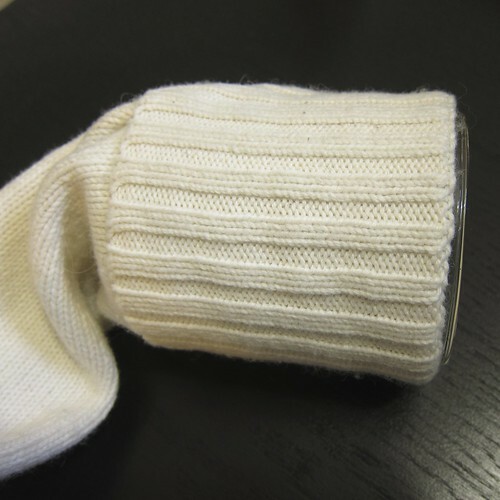 If you are using a wool sweater, you could felt it in a washing machine before cutting it up. This will give you a thicker fabric you can cut and not have to worry about hemming or fray. My concern is that a felted sweater won’t let as much light out through the sides of the candle. Pretty! 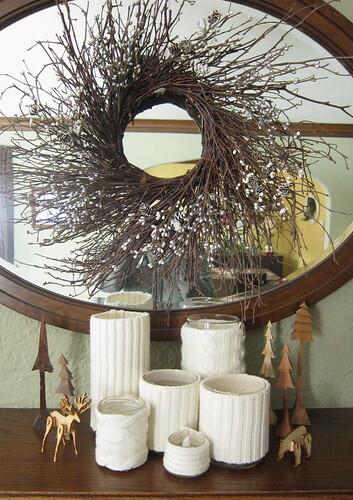 I think it looks great on your mantel and I love the idea of having decorations that last all winter.